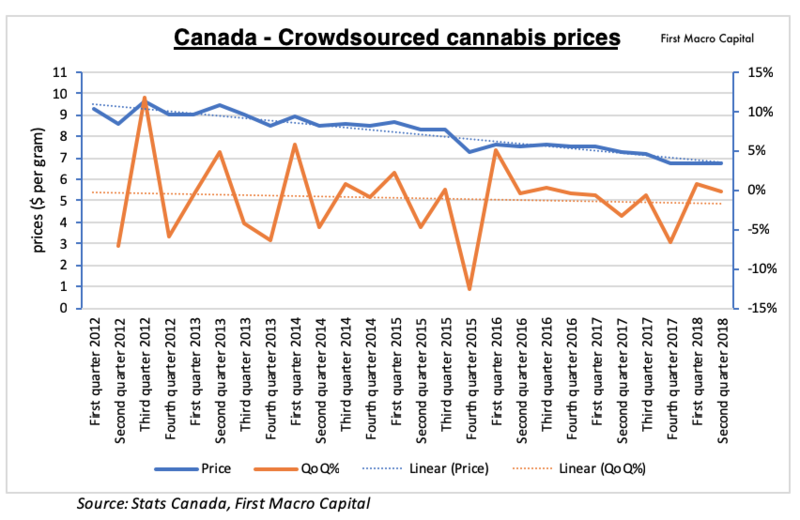 Pot Stocks have been all the rage for the past couple of months in the U.S. & Canada, because Canada is doing a countrywide legalization of recreational marijuana, on October 17, 2018, just days away. But could October 17, 2018, be a sell the news event? What happens after that? We will see which companies are prepared and which are not ready. Those companies that have said what they said they are going to do, will further reward shareholders. Then there are those that have been overhyped and overpromised. There were have been an incredible amount of celebrations recently in anticipation of the event. 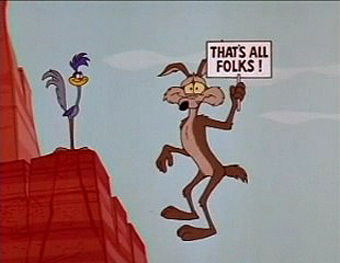 But reality is going to set in very quickly and CEO’s and analysts are making cautionary statements before the day. Will there be tears? 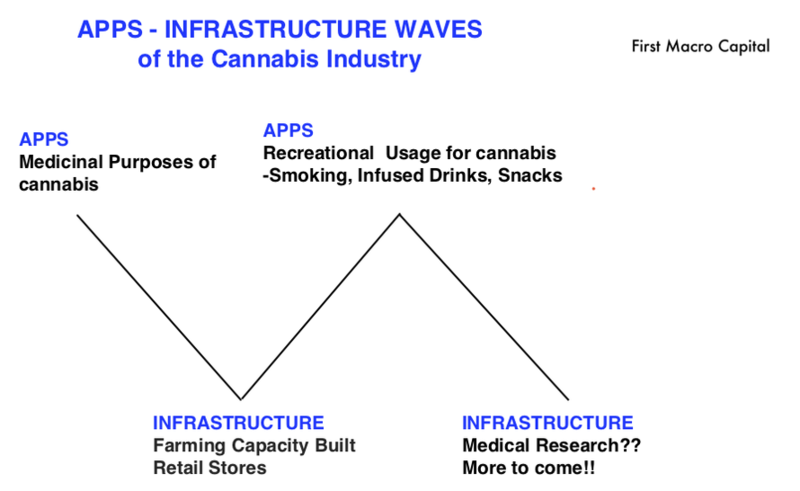 This first phase of the pot cycle, we view as the buildout of production capacity, similar to infrastructure buildout of the internet when cables were laid across countries, buildout of infrastructure for railroads, or the solar panel buildout. Infrastructure buildouts have a long history of booms and busts in sectors. 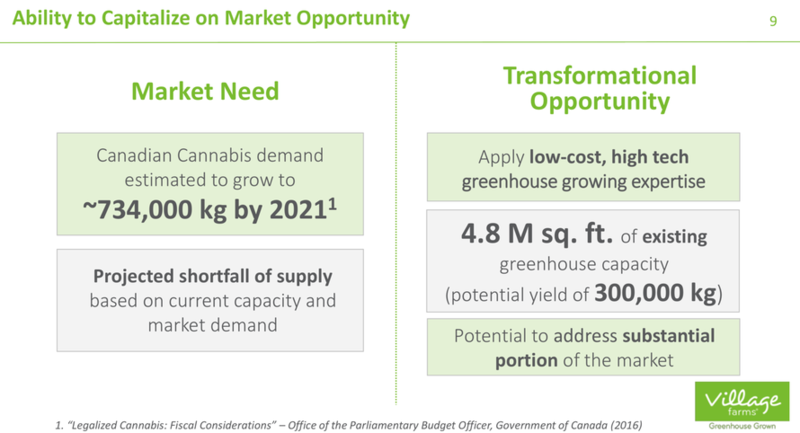 Today’s pot cycle is building the greenhouses for the wave of long-term growth of the sector, which we agree is there, but this short-term supply buildout by producers should be a red flag to investors, which only includes the main producers providing guidance and capacity and doesn't include the producers that have only just started planting. Opportunities to buy companies below replacement value will occur. There have been currently about 120 licenses to cultivate marijuana, but they have just started to grow the crop. Wat happens, when this production comes online in 2019 from the producers? We think supply-demand dynamics will correct itself and will be more felt by farmers in 2019 when reality sets in on the true demand and true supply. 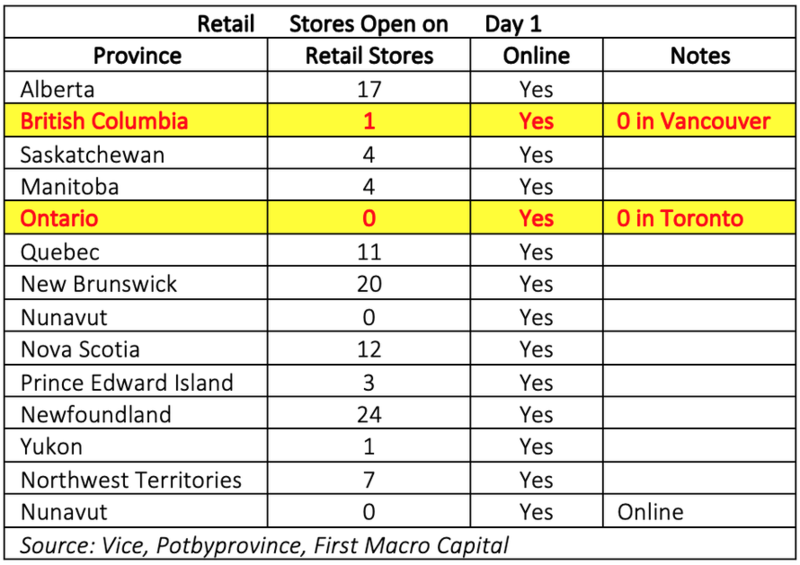 In Saskatchewan: “We know that not everyone is going to be ready for Oct. 17th,” said SLGA (Saskatchewan Liquor and Gaming Authority)spokesman David Morris. Bankruptcies for pot farmers that leveraged up their balance sheet in commodity business when supply is expected to grow faster than demand. High-cost producers with high debt load will feel the pain. Opportunities to buy capacity when the dust settles below replacement value. "We disrupt alcohol potentially, cigarettes potentially, in terms of smoking cessation," he (Canopy Growth CEO) told Cramer. "We really disrupt pharmaceutical, because whether or not you're geriatric care, you're dealing with arthritic conditions, you're someone who can't sleep, you're going through an oncology treatment, I think you're going to find cannabinoid therapies really hit there." 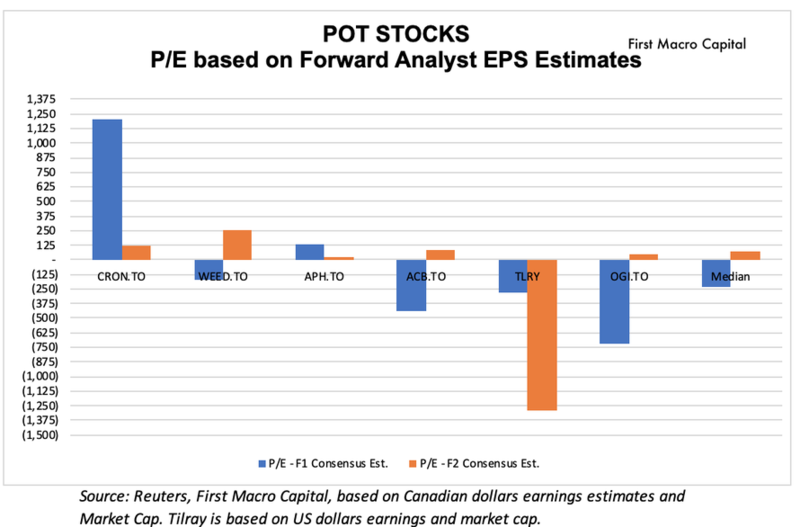 The underlying theme for “pot producer stocks” is not expected to go away but in the near-term, we are witnessing too many investors chasing too few deals. 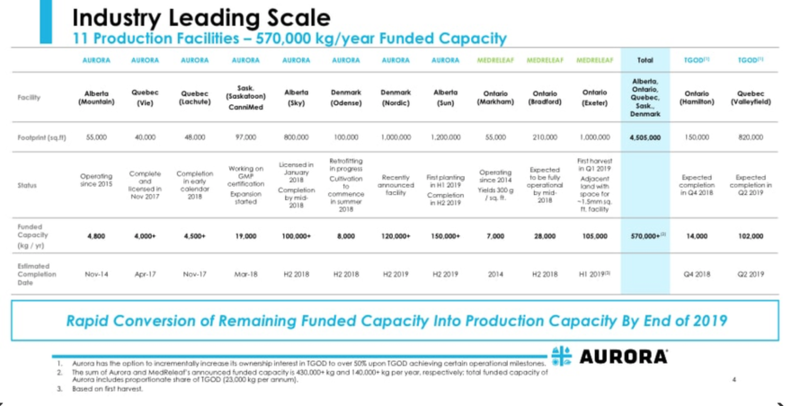 Huge supply coming online in 2019, with expectations that demand will exceed this supply from existing producers and in development producers. While the long-term theme remains in place, just like 3D-Printing, Blockchain, the internet, this current boom in marijuana production is focused on building the underlying infrastructure to grow the crops to be used for a number of recreational and medical products. There will be a few winners and 10, and there will be tears for the rest. Cannabis production is a commodity business. 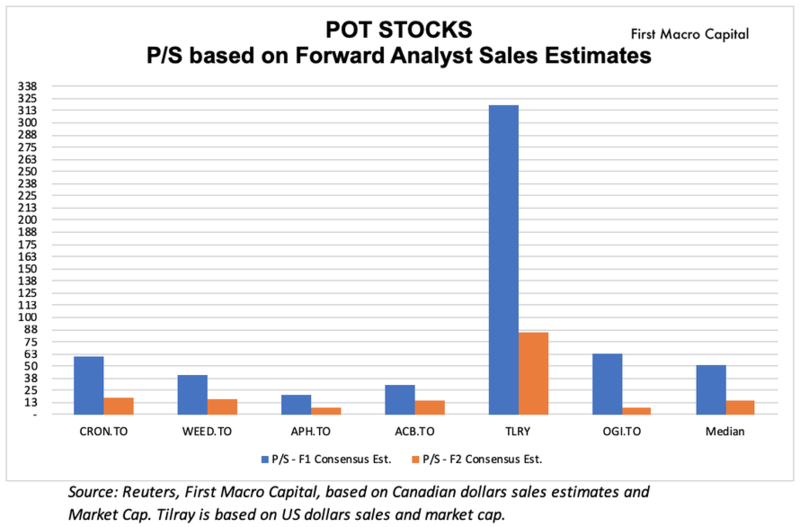 If everyone knows about the boom in pot producer stocks and the CEO's are warning about the day after, and everyone knows about this great opportunity. The remaining question is, who is left to buy? Paul Farrugia, BCom. Paul is the President & CEO of First Macro Capital. He helps his readers identify mining stocks to hold through the commodity cycle. He provides a checklist to be used for any commodity producer stocks (Gold, silver, batter metals, pot stocks).